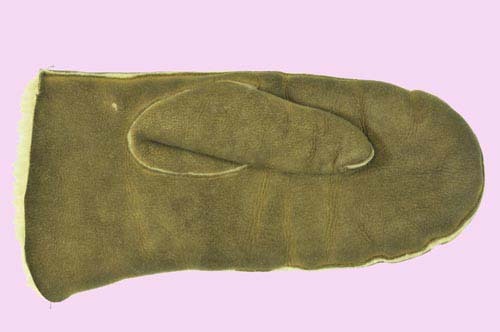 Artefact Description Sheepskin, mitten style. History of Artefact The glove belonged to Sandra’s father, James Taylor – he was a gentleman’s outfitter. Worn for the Aberdeen winters! Bought in Scotland.